"Come, and go with me...a BIG, BIG table with lots and lots of food!" In elementary Sunday School we studied Mark 10:2-16. Continue the conversations at home by talking together about the times when you've been excluded and how that made you feel. 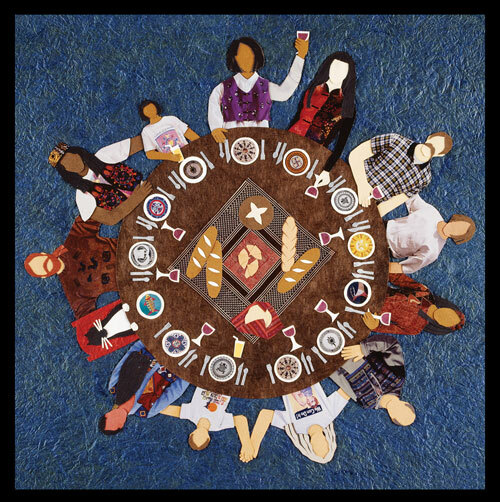 Remembering that God sets a huge table with room enough for everyone, talk together about who needs to be included in our tables at church, at school, at work, and in our homes. Our main passage for Sunday, October 14 is Mark 10:17-31 . Other passages you might study together this week include Amos 5:6-7, 10-15; Psalm 90:12-17, and Hebrews 4:12-16. 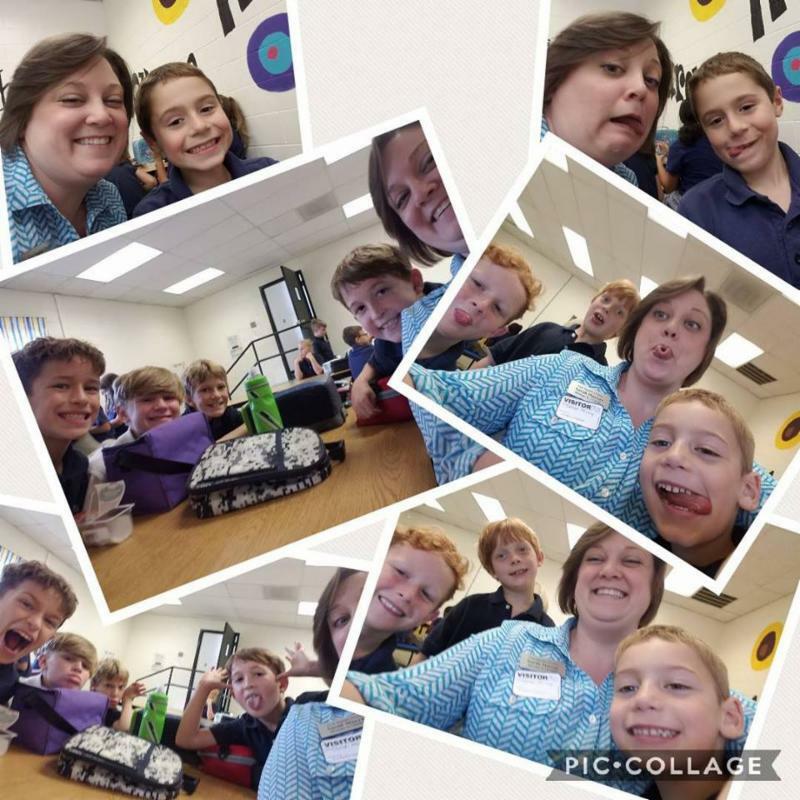 Lunch Bunch on Fall Break! 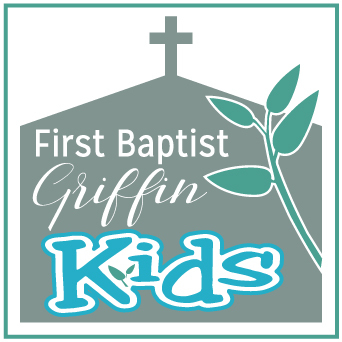 Sarah is making the rounds and connecting with our FBC Griffin Kids at school. There are still dates available in November and December. If Sarah is already headed to your school, add your child for the same day! Sign up for a lunch date today! 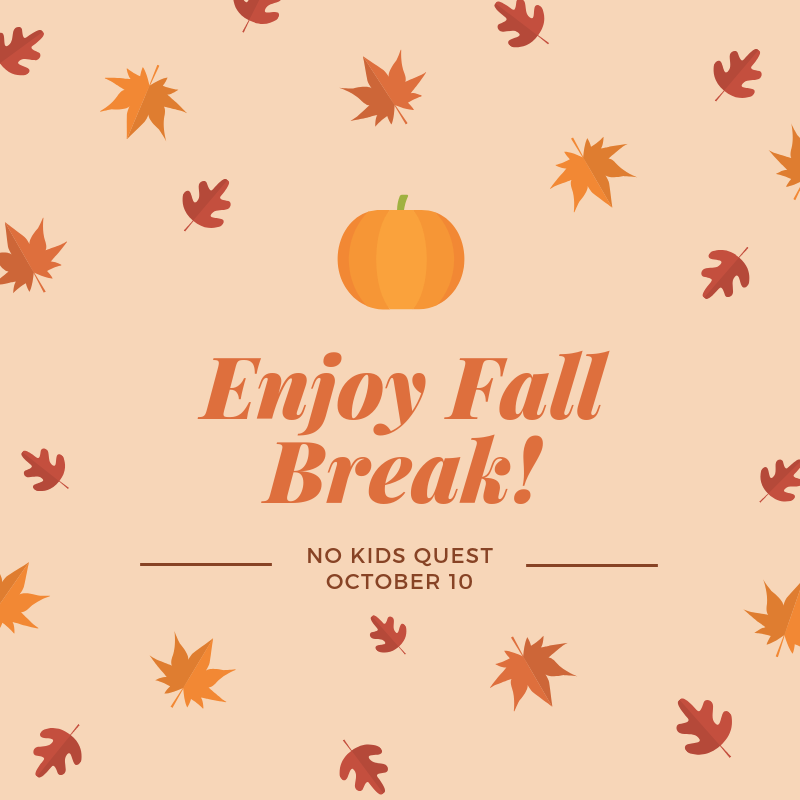 Our Fall Festival is Wednesday, October 24, beginning with a hamburger and hot dog supper from 5-6 p.m. in Morgan Hall and followed by the Festival from 6-7 p.m. in our Gym. 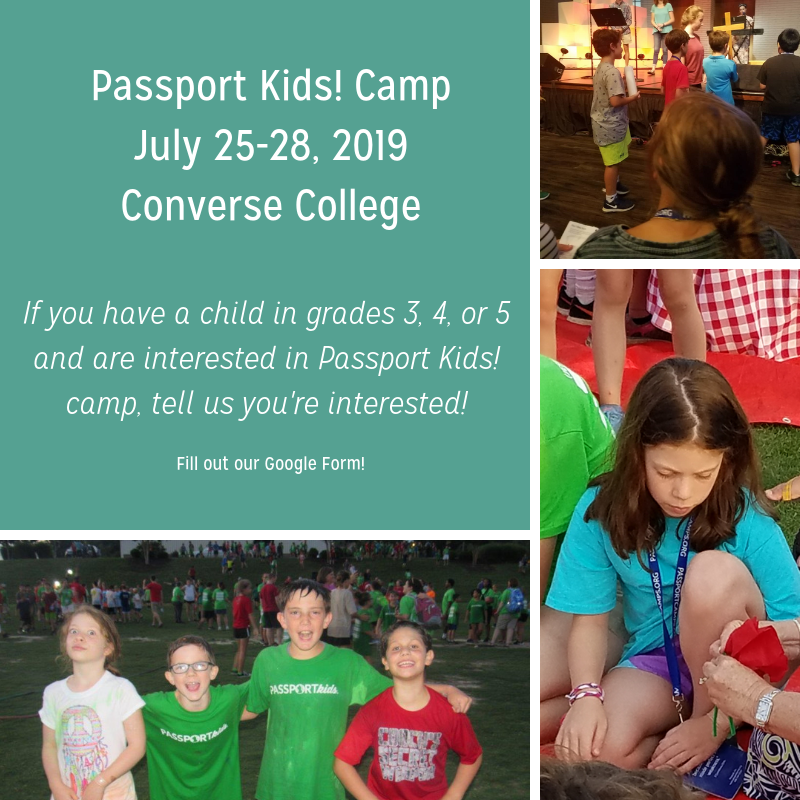 Flyers to share are available at the preschool check-in desk. Please contact Jennifer Pugh , Farrah Crider , or Sarah Murray to volunteer. 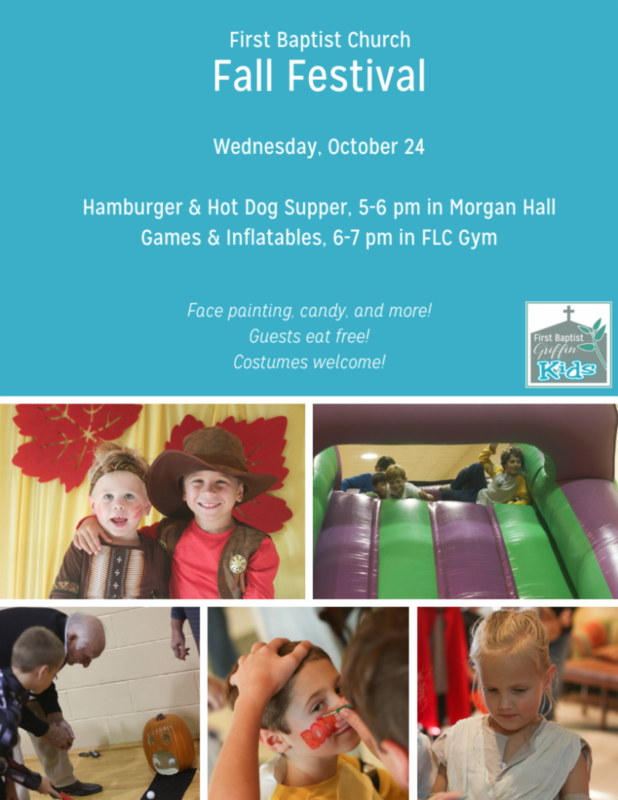 Wednesday, October 24 : Fall Festival, 6-7 p.m.